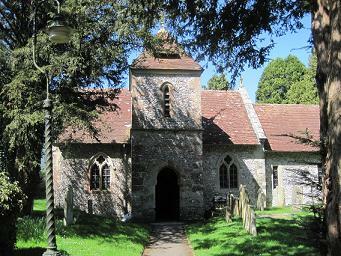 St. Peter’s Church is the home of the Methodist society in Pitton. We are a class of Winterslow Methodist Church. On 10 May 2008, a Declaration of Ecumenical Welcome was signed formalising the use of St. Peter’s by the Methodist church. 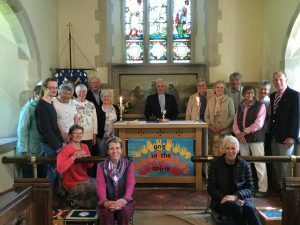 The Anglicans and Methodists enjoy worshipping together. Every third Sunday of every month is led by a Methodist Minister or local preacher. We strive to do God’s will for the village community, including creatures great and small. Every Tuesday at St.Peter’s from 9.15a.m to 9.45a.m. for informal prayers. All are welcome. The Tuesday Group meets on alternate Tuesdays at 10.15a.m. in the comfort of somebody’s home! Our Lent course, “Talking Jesus” will start on Tuesday March 5th 2019 and will be weekly. The Church is open to all for tea and cake every Tuesday from 2-4pm. We welcome regulars, walkers and any other passers- by. Do spread the word. 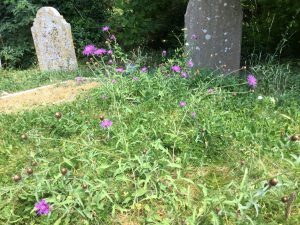 Efforts are being made to increase the number of wild flowers growing in the churchyard to encourage more pollinators and small animals. Much of the grass is now left to grow longer and is hand cut using a scythe at specific times of the year. We are looking forward to a “buzzing” future. There is a Methodist service on the third sunday of each month at 11:00am.